People who want to take your rights away depend primarily this supposition: America is full of useful idiots. Exacerbating this problem is TV news, which is exactly as informative as a cartoon strip. Speaking of cartoon strips: Newspapers, the last bastion of actual journalism, continue to die. If not resuscitated soon, you won’t be able to line your cat box with them, let alone read a new edition. If being un- or mal-informed hurt only one’s chances at winning trivia night at the local bar, that might be tolerable. The problem is that not understanding and misunderstanding issues changes how we think, act, and vote on important matters. And it’s killing us. I think that there was evidence and argument about the Defendant’s knowledge that the coffee could cause serious, third degree, full tissue burns. The Defendant McDonald’s knew that the coffee, at the time it was served, was too hot for human consumption . . . . [T]he written transcript is not going to reveal the attitudes of corporate indifference presented by demeanor or of the witnesses for the Defendant McDonald’s as well as their employees, but the jury was exposed to it and I think that they properly considered it in their deliberations. 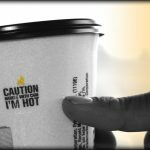 And let me say that with knowing the risk of harm, the evidence and testimony would indicate that McDonald’s consciously made no serious effort to warn its consumers by placing just the most simple, adequate warning on the lid of the cup in which the coffee was served. . . . This is all evidence of culpable corporate mental state and I conclude that the award of punitive damages is and was appropriate to punish and deter the Defendant for their wanton conduct and to send a clear message to this Defendant that corrective measures are appropriate. Judge Scott ordered the parties to engage in a postverdict settlement conference which resulted in a settlement of the case for an undisclosed amount (less than $600,000) which remains confidential. In the Federalist Papers, Alexander Hamilton wrote of “the effects of those ill humors, which the arts of designing men, or the influence of particular conjectures, sometimes disseminate among the people themselves, and which, though they speedily give place to better information, and more deliberate reflection, have a tendency, in the meantime, to occasion dangerous innovations in the government, and serious oppressions of the minor party in the community.” By educating people, one on one, about the facts in Liebeck v. McDonald’s Restaurants, it is possible to begin dismantling the public’s perception of frivolous lawsuits and change the misconceptions about our profession and our legal system. How prescient. It’s time we turned off Faux News, CNN, and MSNBC and picked up the great American papers, which still care about accuracy and objectivity. If we all read the New York Times, the Wall Street Journal, or the Washington Post on a regular basis, we would all be better off. A lot better.